Ben and Jared’s world-record Rubik’s solver. 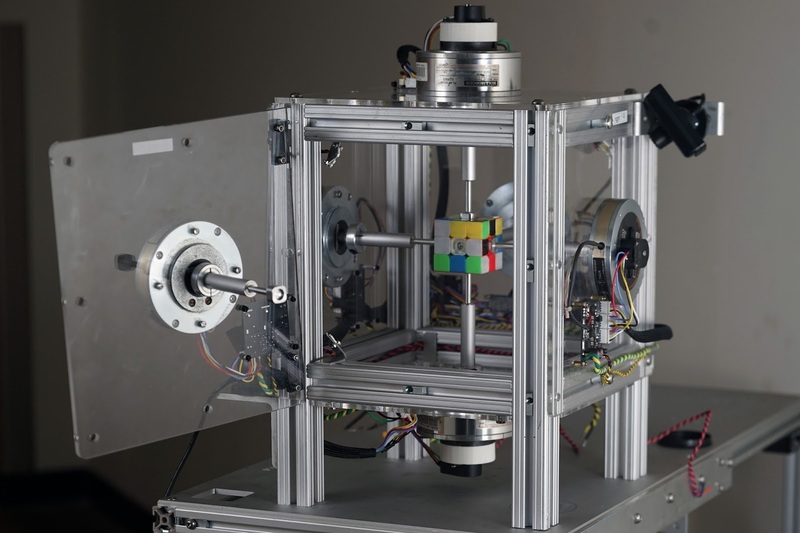 Solves a competition-legal $5 Rubik’s cube in 380 milliseconds using fast DC servos and nonlinear controls. The Youtube video was incredibly popular, and has some slow-motion footage of the solve. 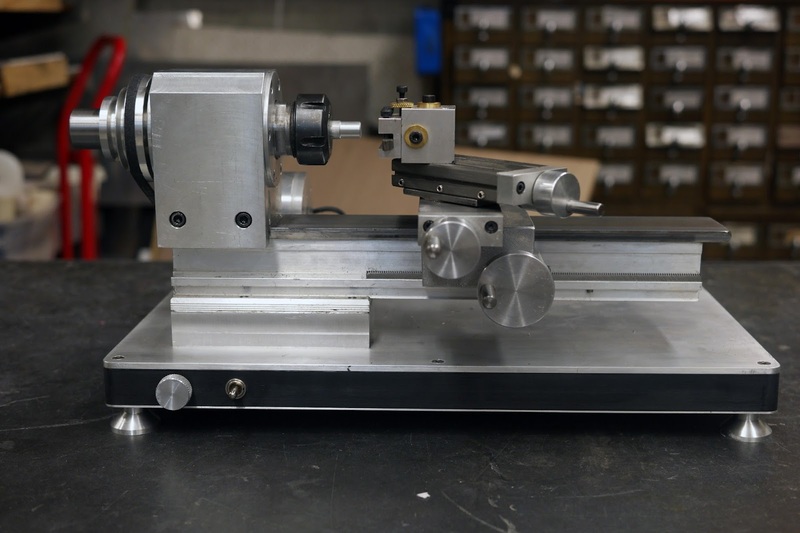 A tiny lathe built out of a commercial lathe bed, a brushless motor, and custom everything else. A self-balancing one-wheeled skateboard, from before they were cool. Dane’s entry into the Robot Art competition, built out of a resurrected Japanese industrial robot, machine vision, Linux, and love. 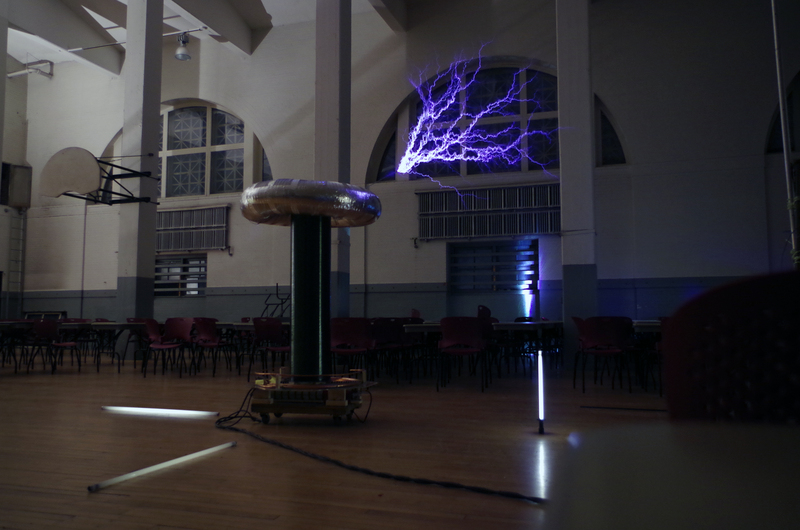 Many Tesla coils have gone through MITERS, but Yotacoil is the first group effort. We run this coil at freshman orientation events. 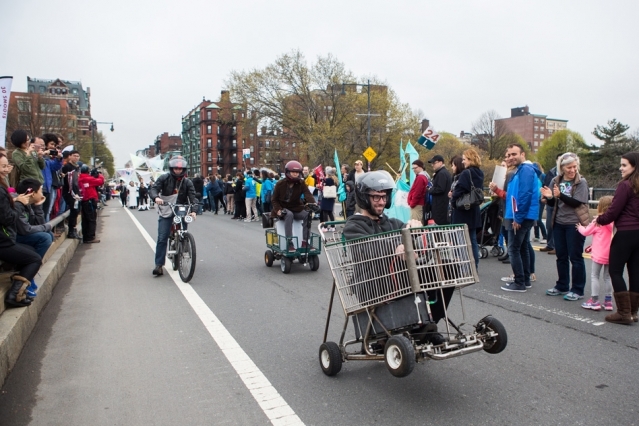 An electric shopping cart with a 10 KW brushed motor, Lolriokart is perhaps MITERS’s oldest surviving project. 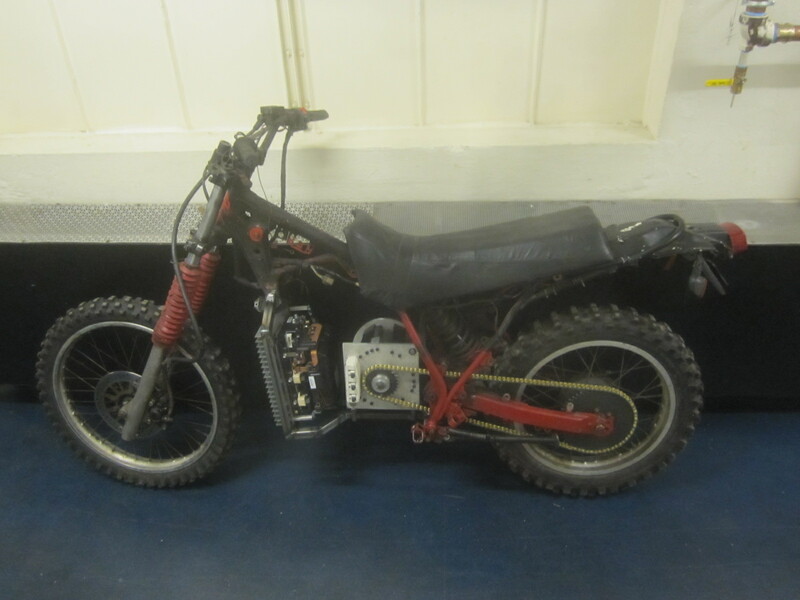 Originally built in ’08 by Charles Guan, it has since received numerous upgrades (wheelie bar, lithium batteries, current control) and downgrades (no more regen or reverse), has been featured in a number of publications, and has experienced a variety of mishaps and accidents. 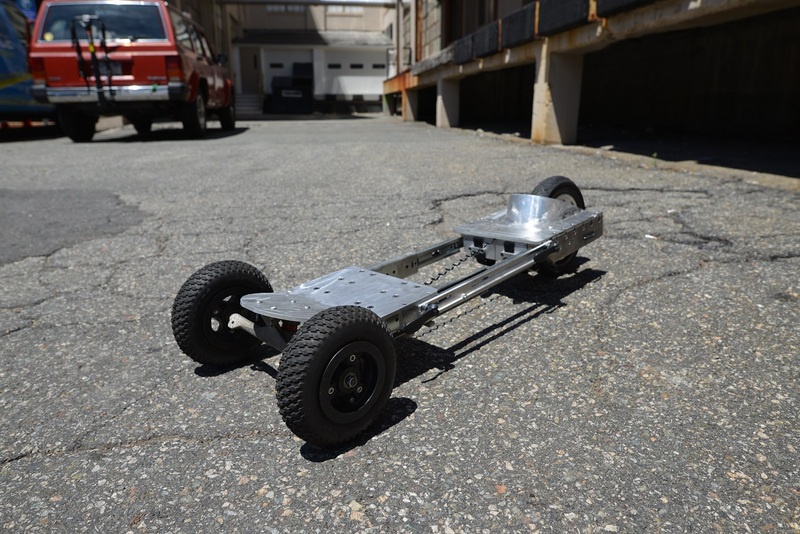 The original MITERS attempt to re-purpose hybrid car parts for interesting small vehicles. It worked OK (Nick’s motor housing was excellent, and by some accounts, it was able to achieve 70 mph) but the firmware tuning wasn’t great. It was one of the earliest DIY vehicles to do anything interesting with automotive parts, and laid the groundwork for the next two projects. 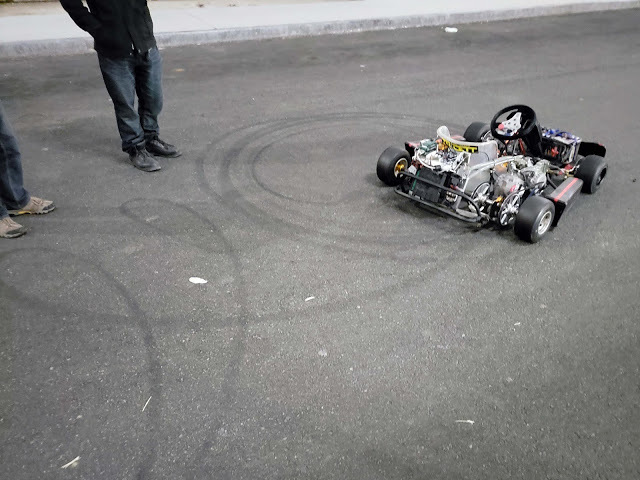 An electric racing go-kart built out of hybrid car motors and controllers. Sports a pair of 15KW, 60Nm motors and custom motor control firmware full of science, and is good for 70+ mph and almost a g of acceleration. This is one of the first projects (along with a couple of Model S drive-unit based conversions) to turn out good performance numbers using used EV parts. 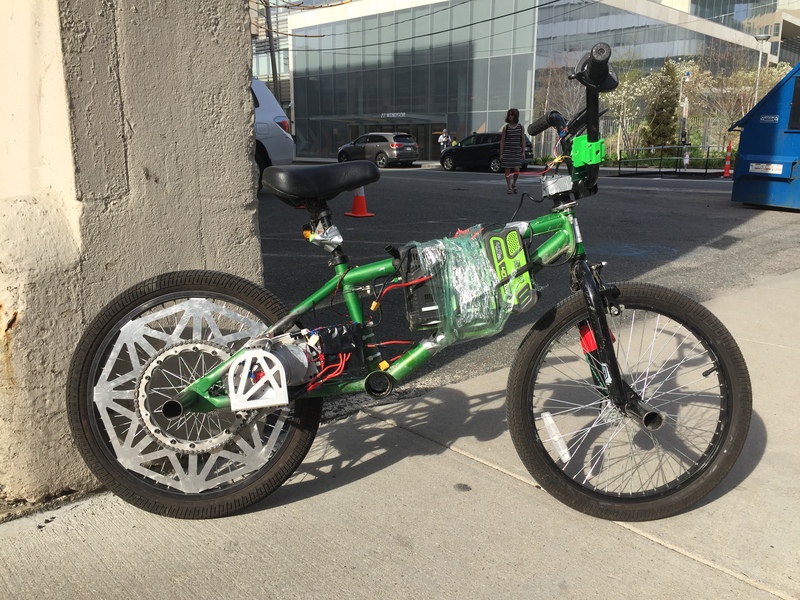 An e-bike of science, built as both a useful vehicle and a motor development platform (its motor has a lot in common with EV traction motors, but is much easier to work with). Built out of a re-housed Prius A/C compressor motor, a custom IGBT controller, and a custom spur gearbox. 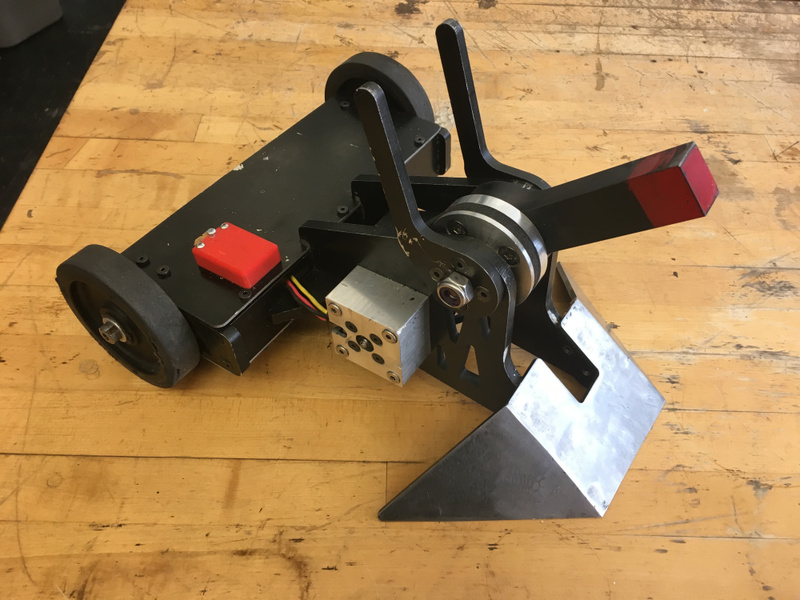 Alex Hattori’s 12lb vertical spinner combat robot. Currently the second place 12lb in the Northeast. There are also smaller and larger versions of it; the 3 lb flavor is one of the best beetleweights in the country. 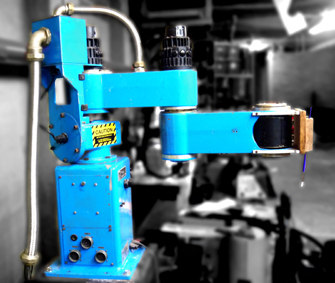 MITERS builds a ton of combat robots, including 100kg/250lb ones for television. 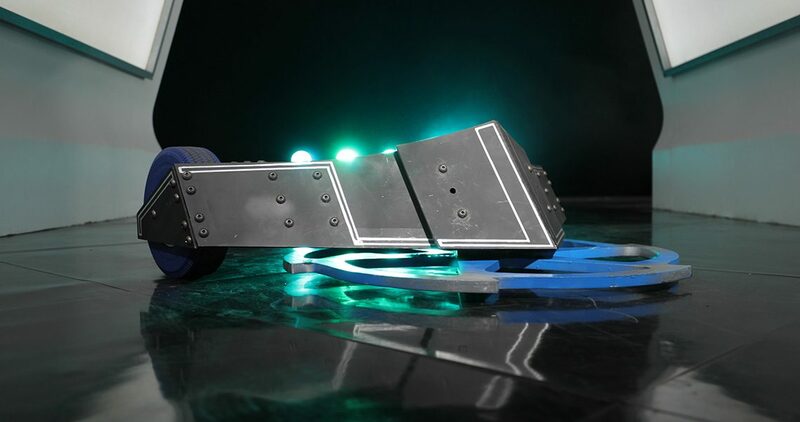 Valkyrie is the latest in long run of MITERS-affiliated robots (other robots with strong MITERS ties include Sawblaze, Overhaul, Brutus, and Season 2’s Road Rash and Dentist). 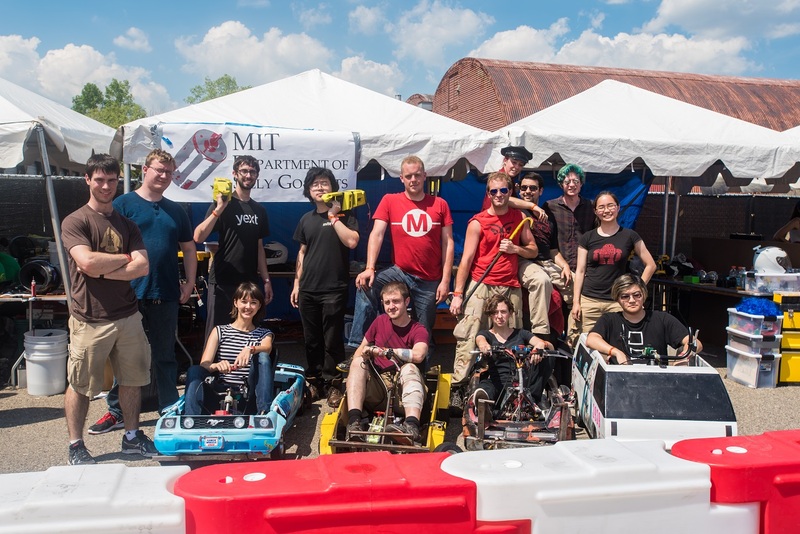 Many MITERS members are avid participants in the Power Racing Series. Several of our powerwheels have done quite well; ‘Kool-Aid’ and ‘Chibi-Mikuvan’ have both won entire events, ‘Chibi-Atomic Thing’ (linked to in the title) frequently wins races, and ‘Frozen Chainsaw Massacre’ was the fastest car at the races it was present at, albeit too unreliable to actually win more than a couple sprint races. 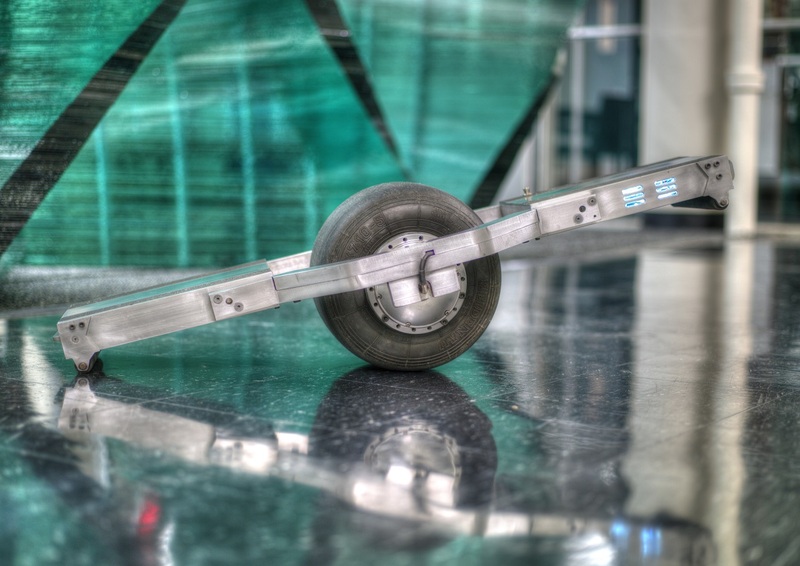 A surprisingly heavy collapsible electric skateboard designed to fit in carry-on luggage – it uses heavy-duty drawer slides for the collapsing mechanism and off-the-shelf electric power tool batteries in order to remain TSA-legal. 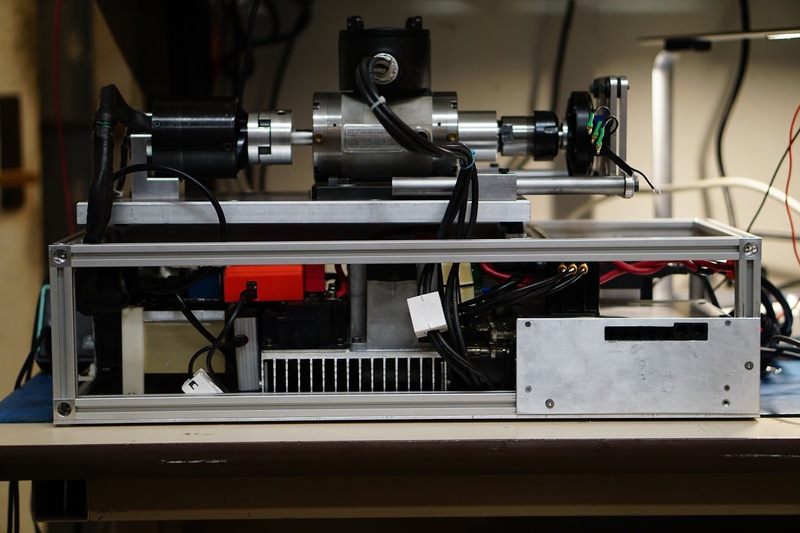 A fully switchmode laser projector driver built for a power electronics class. 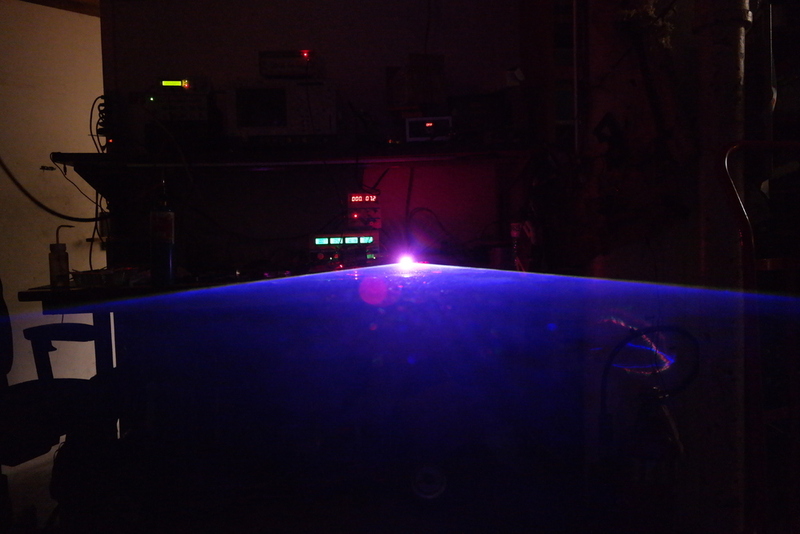 Also has a 3D-printed RGB laser assembly to go with it, for a complete laser projector with neither linear amplifiers nor machined parts.